Just when you thought it was safe to open your inbox, along comes another huge helping of spam mail from Hotmail and Yahoo along with so many other culprits it's impossible to list them all. There's no escaping this phenomenon because anyone can set up a web mail account and there's no shortage of victims out there to target these mails at. Funnily enough, I've now got a GMail account and don't have nearly as much spam. How many times have you looked in your mail inbox and discovered numerous emails from people that you do not know offering anything from thingy enlargements and more adult material than you can chuck a stick at, right through to wonderful business opportunities that will make you rich in about twenty minutes? I've had my fair share of this sort of stuff and to be honest I'm getting really fed up with it. On top of all this I get mail from numerous companies all trying to sell me their products and services most of which really do not interest me. If this type of stuff was meant to be a targeted mail shot, then it was most definitely way off the mark! Don't get me wrong, its not that I hate email, because I don't mind receiving mail from a site that I have subscribed to or email from friends. I just hate receiving junk mail and don't think that I should have to put up with it. To be fair, many of the big web mail companies such as Yahoo and Hotmail have provided facilities for filtering incoming mail and dumping them into junk e-mail box. This approach can be fairly successful for a lot of people as you can have these messages automatically deleted so you never see any of them. The problem there is that some emails that are not necessarily junk could end up being deleted by mistake. Of course the way round this is to have all your spam directed into one mailbox that you will still have to trawl through at some stage and decide what is and what isn't trash. I've got a Hotmail account (...@outlook.com) and have had ZERO spam in 3 years. I think he reason you are being spammed is because you either signed up to a spammy website that sold your email, or your email address exists on a webpage somewhere (google it in quotation marks to check if you're not sure) and has been scooped up by email "scraping" bots for spam purposes. Either way, you ended up on a list. Spammers rarely send spam to random email accounts, generated systematically (that happens with shorter emails). I've also got a Gmail account, and I get no spam there either. I have friends with both Gmail and Hotmail accounts and they get spammed at most of theirs. It's who you give your email out to that really matters. There isn't some Microsoft or Google conspiracy to put you on spam lists. People (inadvertently) put THEMSELVES on spam lists. when you have an issue with Gmail account then you can contact with Gmail customer care to support related to Gmail. 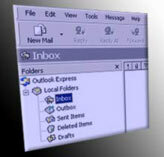 Fix any Hotmail Issues like Hotmail login failed, Hotmail password recovery, Hotmail account blocked etc. On this hotline you get instant technical support for Microsoft Hotmail / Outlook / Windows Live Mail. Contact @ 0800-041-8264 UK toll free number for Hotmail Support from UK tech experts and get instant help easily. Our Customer Service is best in all over the UK. J. I am a citizen of the world, born in a Christian country called Britain. I now live in muslim bradistan. I believe that the Christian church’s policy of evangelism was none productive. It did not work they are now streaming back here with their muslim beliefs still intact. I attend a weekly Asian cookery class in our local Baptist Church. I had to take our cookery expert to task on Friday, she was giving Israel a lot of stick & did not have a good word for American business. She will not use Nestles products, that is how the subject came up (I was instrumental in manufacturing the largest crucible in the world for U.C). However I believed she was using her roll as a teacher to get a muslim point across. (No Way Jose). 1, Record numbers of new cars are being sold. 2, People are using the increased value of their property to remortgage and then spending it on a new car. And just as the BoE is warning of an interest rate hike. Get ready for the next wave of idiots whinning they are in financial trouble. YEP.. agree with that, like rats in a cage. If I remember right there was a experiment, using rats, about overcrowding; few rats in a cage, ok, many rats in a cage, bedlam. Sounds just like the UK, cities and roads, overcrowded. People are getting more and more ratty, excuse the pun, because of too many people on this island. Boblet, If there's one thing for sure, this site is now reflecting the depressing mood of the UK. A country I once yearned to come home to when on leave has turned into a place of monosymbalism and angry exchanges. People have changed dramatically and seem to have no time for one another. Has the austerity measures made this much of a change to behaviour. Myself, I believe it's the country becoming over crowded and not enough personal space. It is not I. J. In my opinion the admin of this site has got a god complex, they are obsessed with the idea that they know best. They consider us posters as their subordinates. Posters over the years also with the same "I know best" illusion as admin have chosen to cease posting. A poster called mike was one of them. I have dealt with jocks before in the business world & whilst I trail my coat, I do not want to take admin on in an intellectual battle that I would win. Only to be deshelved. I think someone is showing the site admin they will not be controlled and limited to two posts per day by using a IP address switcher, hence all these pointless, meaningless entries. Why does delete & block not work? Like many people I get my share of junk e-mails. Theoretically it is possible to control what you receive, provided you have the cooperation of your service provider. However it would appear that some of these providers are on the make and are reluctant to block unwanted junk. On a daily basis I get junk from various organizations, offering me Viagra and various medication, guaranteed extra inches to my private parts, various women claiming to have lost touch with me and if you open the mail you get directed to yet another internet pharmacy. Every time a get this type of unsolicited mail, I click delete and block, which theoretically ensure that I don't receive junk from the same sender, but it doesn't work. I have tried on numerous occasions tried contacting my provider, only to be sent round in circles and more frustrated than I would have been by receiving and deleting the junk. I logged on to the users forum to find that I was far from the only user with the problem. There were dozens of users with the same problem and nobody had the answer apart from using delete and block. Some months later I am pleased to report that I have found the answer , I opened a Gmail account and no longer have the problem that I had with not even warm-mail. Friends who had the same problem have resolved it in the same way.Service providers need to make customer satisfaction a higher priority. I want to get a web mail account and need to devise a new personal, non work related email address. I wonder if those of you who are more computer savvy than I am can answer a question. Some people have advised me against using my full name in my email address, suggesting that it's a better idea to use just a first name with perhaps numbers to make up the rest. In am so tired of Yahoo, I get 20 or so a day. I always delete them without opening, but just the other night when I was not even logged on my e-mail address sent spam or a virus to all my contacts. Goodbye Yahoo, you are a disgrace. I use mailwasher and bounce all spam, unfortunately a lot of spam does come from 'untraceable' addresses but at least I get some satisfaction, however, DO NOT ever click the unsubscribe link on any email as much of this spam simply guesses email addresses and if you send an unsubscribe request you are simply confirming a valid email address so you will receive MUCH more spam as the sender definately knows your email address is valid. hi I am jake sending out these mails. I point out that if their policy does not hold the spammer traceable and responsible then they are responsible. I wish someone would take them to court and make them responsible and get them to tighten up their policies. They would then do something about it quickly! I think it is not only annoying but illegal. I have written, often, to yahoo to tell them to stop sending out these mails. I point out that if their policy does not hold the spammer traceable and responsible then they are responsible. I wish someone would take them to court and make them responsible and get them to tighten up their policies. They would then do something about it quickly! I would happily do it if I knew how.